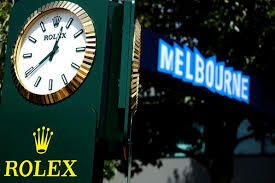 Rolex, the luxury Swiss watchmaker, for a third year, will be the Title Sponsor of the FORMULA 1 ®AUSTRALIAN GRAND PRIX. The Title Sponsorship announcement comes as the Melbourne event prepares to celebrate its most significant milestone yet – two decades of Formula 1® racing in the city. The 2015 FORMULA 1 ROLEX AUSTRALIAN GRAND PRIX will once again be the season opener of the FIA Formula One World Championship™. 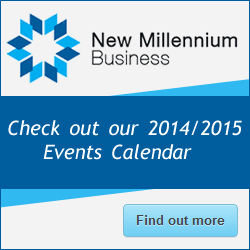 It will be held at the iconic Albert Park Circuit, 12-15 March, 2015. Rolex became a major long-term partner of Formula 1 from 2013 as Official Timekeeper and Official Timepiece, in December 2012; and is naming rights sponsor of the Sydney to Hobart yacht race, in the UK at The Open golf championship and Wimbledon; sponsor of the Australian Tennis Open, a number of other major tournaments and several leading celebrity players including Roger Federer and Li Na; partnered the Alltech FEI World Equestrian Games 2014 in Normandy and is name sponsor for the Grand Slam of Show Jumping; partners a number of leading opera houses in Europe and the US. In the late 1950s, the Swiss watchmaker became a partner of the Daytona International Speedway in Florida. In the same vein, Rolex announced in spring 2012 its support for Neuropolis, a world class neuroscience hub based in Switzerland which aims to improve understanding of the human brain using computational biology. This innovative approach, on the frontier of scientific research, builds on the power of supercomputers to simulate biological processes. Originally published in our newsletter, "Back on the Block", published on 17 January 2015.